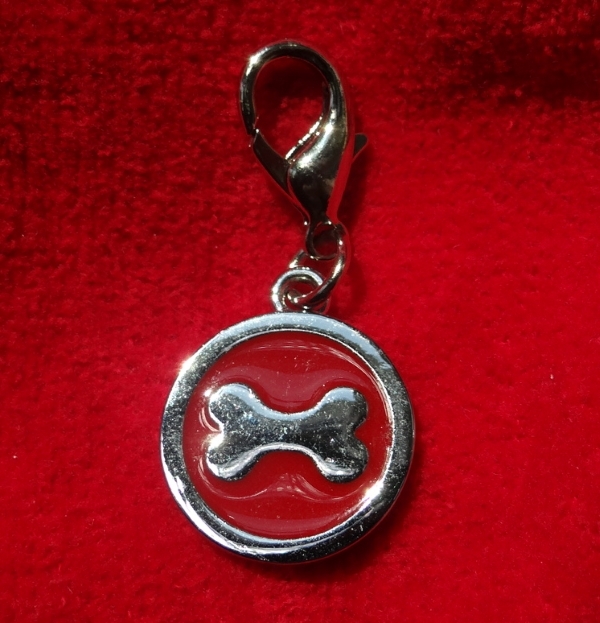 Option 1: Made of a silver metal with a red enamel background which makes the silver bone stand out. 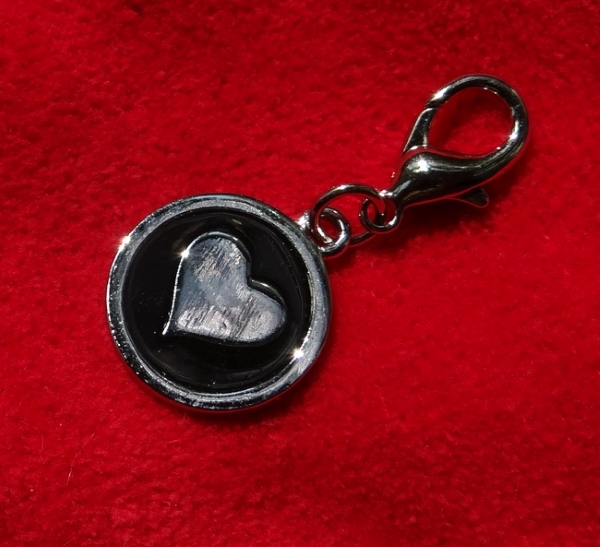 Option 2: Made of a silver metal with a black enamel background which makes the silver heart stand out. 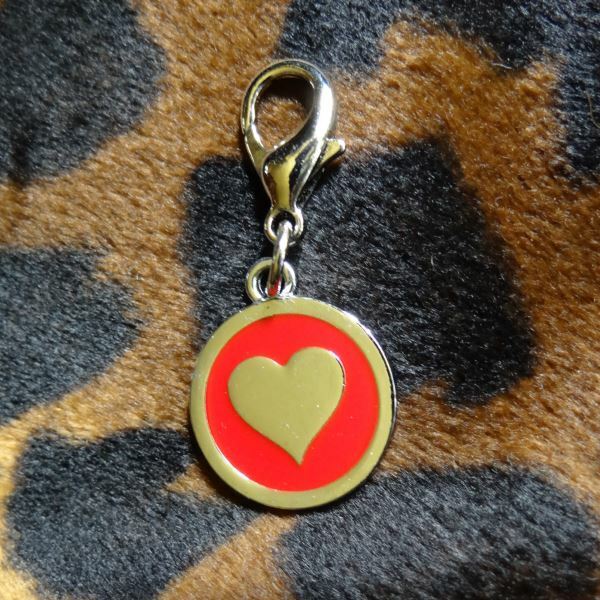 Option 3: Made of a silver metal with a red enamel background which makes the silver heart stand out. You can customize your Metallic Dog Collar Charm by European Home Designs because the smooth metal backing of the pet charm can be hand written on with a permanent marker. The charm measures 2" from the top of clasp to the bottom of the charm and 1" across.